Many people have no idea how the questions they’re asking themselves shape their lives. 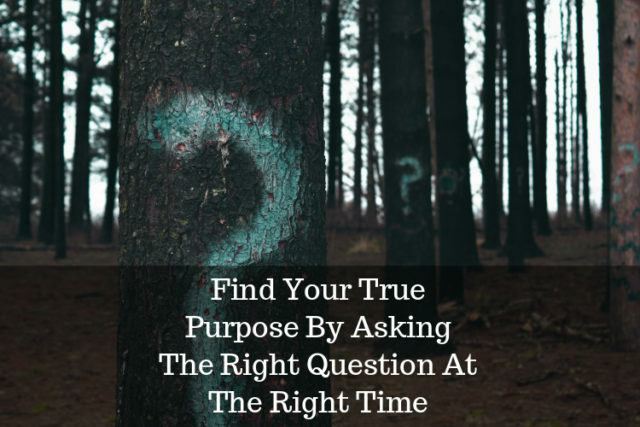 Yet the right question can improve our health, beauty, fashion, money, careers – in fact our whole life, even more… Find Your True Purpose. I once knew someone who was unhappy and stuck in a way of living she didn’t like. Her fitness, career and money seemed pretty much immoveable. She had an expectation that this was how her life would be today, tomorrow and the next day. But when you asked her what she wanted she had a list as long as your arm of hopes and ambitions. This one question was the start of a long journey of change. Of course, that wasn’t enough on its own. They were many more questions that went with it. For example, she believed she would never reach the weight she wanted, and every morning that belief came out as the following question: “Why can’t I lose weight?”That one question presupposed that she was carrying too much weight, that she had to lose weight, and that she couldn’t lose weight. What’s funny is, if someone told her directly, “You are too fat, you need to lose weight, but you you’ll never lose weight,” she would have given them a clear and not-too-polite answer! This was the next stage of her journey. And once started to ask such questions, she applied similar ones to her relationships, her job, her whole life. Now along the way, there were knock-backs. One of the vital things to do is learn how to be resilient when that happens. Many people have an “all or nothing” mentality that won’t forgive what they think of as failure. But failure and success are close friends. There are millions of people in the world who are called successes by others, but who have failed countless times beforehand. If they’d given up then, rather than learn and change, they would never have gone on to the success they now have. This “stickability” and determination is Resilience and it’s a skill. With it you can learn to process what the world tells you as feedback about what to try next. Because there is always something else to try. Resilience will keep you at it while you reinvent yourself to become the person you want to be. Of course, while you’re Reinventing yourself, things go wrong. But when you’ve got resilience in place to support you, then you know to keep on. Finally, comes the moment of Revolution, in which the new you emerges butterfly-like with a flourish, sweeping away all those previously held beliefs. Those “Three R’s” – Resilience, Reinvention and Revolution are absolutely central to getting more from your life. When you look at the most successful people in the world, then you’ll see they have the skills and habits of mind that create the Three R’s in spades. It’s not something you’re born with. It’s something you cultivate and learn by placing your attention in the right places – and asking the right questions about how to make the changes you want. So, the question is, what stops you? 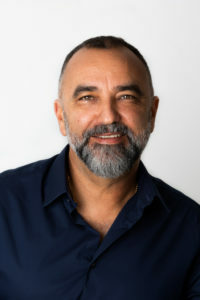 Bernardo Moya is author of The Question: Find Your True Purpose (published by Capstone, February 2019). He is Chief Inspiration Officer and Founder of The Best You. Led by his unwavering belief in social, personal, professional and global responsibility, he is passionate about helping others through his book and his platforms NLP Life and The Best You. In his pursuit of self-improvement, Bernardo founded The Best You in 2009, and as Chief Inspiration Officer, continues to grow the company, which now includes 8 product lines, 26 international staff and numerous partners. He navigated economic adversity during the 2008-2009 recession by seeking opportunities, where others saw obstacles. Bernardo also runs Europe’s largest personal development trade fair The Best You EXPO, and is an entrepreneur, writer, publisher and television producer. He has organised and promoted seminars for the most highly respected figures in the field of personal development, and, as editor-in-chief of The Best You magazine, Bernardo has interviewed some amazingly inspiring people.